Considering a payday loan or cash advance? If you need a quick, reliable source of emergency cash, getting a cash advance or payday loan online may be the best option for you, particularly if you don’t have a good credit score. But it’s not your only option. In this article, we’ll discuss your top alternatives to payday loans. Read on and see what options you have for short-term cash! Ideally, you will have a “rainy day fund” with some extra money for unexpected expenses. This is one of the most important things you can do for your personal finances. It ensures that you avoid loan fees and gives you a bit more financial freedom. But it’s not easy to save up, especially if you have kids, debt and other costs, so you may find that you don’t have enough in your savings. Unfortunately, only 39% of Americans can cover the costs of a $1,000 emergency out-of-pocket. So, what other options do you have? You may be able to pay for some things, like a car repair or a medical bill, by using a credit card. Then, when you have more cash later on, you can pay down your debt. If you have an expense that requires you to pay in cash, you can take out a cash advance on your card. Just be aware of the interest that you’ll have to pay on credit card debt – it adds up quickly, especially if you’re only making minimum monthly payments! Don’t have a credit card? Here are some other options. In many cases, you can negotiate a debt repayment plan directly with a hospital, an auto repair shop, or another such company to which you owe money. This allows you to break your debt into smaller, more manageable sums. If you’ve had no luck with the other above options, you can consider asking friends and family for money. However, money and healthy relationships don’t mix. If you can’t repay, or you run into other financial difficulties, you could potentially damage or ruin your relationship with a family member. If you have reasonably good credit, you could take out an loan from a bank. If you own a home, a HELOC (Home Equity Line of Credit) will allow you to borrow against your home’s equity. If you have a 401(k)-retirement account, you could take out a 401(k) loan to cover your expenses. However, many of these options may not be available to you, especially if you’re already having trouble making ends meet. Another option is to get a title loan on your car. You can use the equity in your vehicle as collateral for a loan, which may help you get a better rate, compared to a payday loan. To do this, however, you must own your car outright, and not owe any more money to the bank or lender. Understand the Best Alternatives to Payday Loans – Are They Right for You? If you need quick cash, a payday loan from an online lender like National Payday is often your best option. You can get the cash you need without collateral or a traditional credit check, cover your expenses, and get back to your normal, day-to-day life quickly. However, all of these alternatives to payday loans are a reasonable choice, if they’re available to you. Most of the time, they’ll take longer to apply for and receive, but they could be right for your particular financial situation. So, explore your options, pick the one that’s right for you, and get the cash you need to get your finances back on track. Payday loans offer a significant advantage that no other lending institution can match. But any Google search involving the word “payday” will bring back several thousand hits for blogs decrying how awful they are. Google has in fact restructured its algorithm to highlight attack pieces of the private loan industry, and bury anything positive people have to say about it. 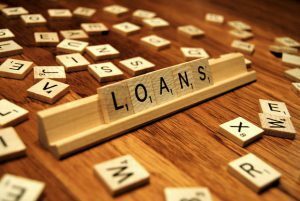 This blog, as well, will be prejudicially buried, because it aims to inform you of the many ways payday loans can help you. But why? What are the Powers That Be so afraid of? There are a large number of cash advance lenders available today, each of which offers clients access to different options and programs in order to help them meet their financial needs. National Payday offers a premium service – our payday loans are the easiest, fastest, and most competitive in the country. We cater our business to the hard working men and women who the big banks don’t take care of, and we do it by offering a superior product. So, what exactly is it that makes our loans better than the big banks? Do you have an active bank account that we can wire money directly into? A new statistical research study about how payday loans affect the financial well being of borrowers has been released, and is making some waves with its surprising results. According to researcher Jennifer Lewis Priestly (a professor of applied statistics and data science at Kennesaw State University) these oft-criticized loans aimed at lower income individuals are not as damaging as we have been lead to believe. They can even have a positive impact on the borrowers credit score. Anyone who has ever applied for a loan… no, strike that – anyone who has ever applied for ANYTHING knows how much a timesuck the application process can be. It’s almost as bad as that paperwork they give you to fill out in the doctor’s waiting room. Fill this out, fill that out, provide a copy of this, provide the original of that, submit a pay stub (maybe even two pay stubs), and then give up the contact information for all your friends and family. And that’s the short-form version of the application process! The Chicken Littles of the world seem to all be working for the media. Over the last few months, most people have become inured to the constant headlines decrying to imminent arrival of one loan debt disaster or another. Student loans are at an epidemic level, threatening the entire economy. Auto loans are being offered to subprime borrowers again, indicating that the “bubble” could pop and destroy the US auto industry. Credit card debt is starting to climb once more. And payday lending is at an all-time high, leading several celebrities to speak out against them.